provide you with Canakkale City map. Now let us start the tour together with Troy. Most of us must have heard of this famous ancient city. Its fame has been boosted up in the popular culture by the new Hollywood version with Brad Pitt in it. discovered the ancient city, everyone else was astonished. 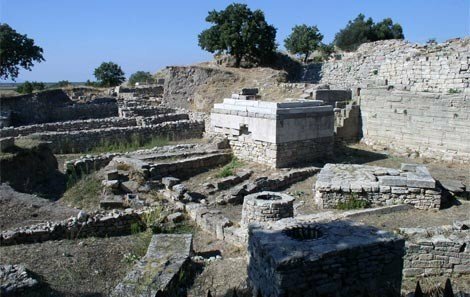 Troy is full of ancient evidence and finds that are still in its almost perfect condition and well preserved. theatre. You will want to be lost in this ancient city. After exploring the city as much as you can, enjoy relaxing at your leisure while having lunch. The guide will give you a free hour to spend it alone. We suggest watching people passing by while having lunch at a local restaurant. set upon a mountainside with a beautiful harbor down the bottom, overlooking the island of Lesvos. 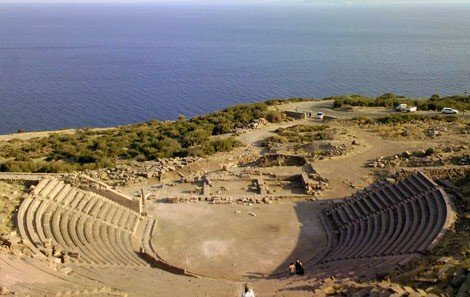 Both mountain and sea sides are equally old and full of stone buildings representing ancient Mediterranean art and architecture. 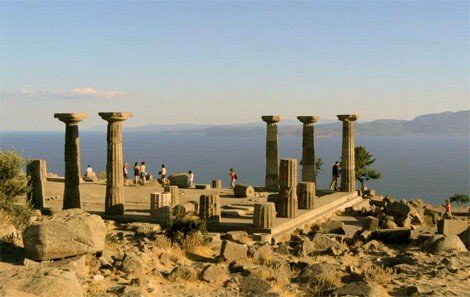 The city experienced its great prosperity in 530 BC and the dwellers built a Doric Temple to Athena on top of the crag. 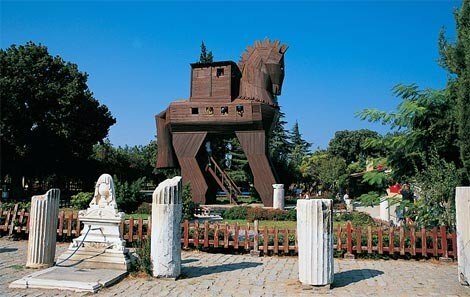 Enjoy the tour around the Temple of Athena before trying Turkish tea at a local tea House. Here in Assos, the tea houses offer quite an extraordinary set of coffee tables for visitors to sit at and be forever enchanted. 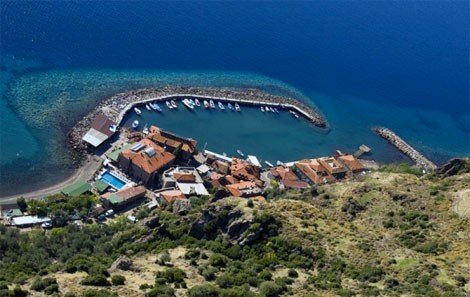 Assos was the place where Aristotle opened an Academy. He married the Kingâ€™s niece. However, the city was attacked by the Persians and the King was captured and assassinated. Aristotle fled to Macedonia under the refuge of King of Macedon. 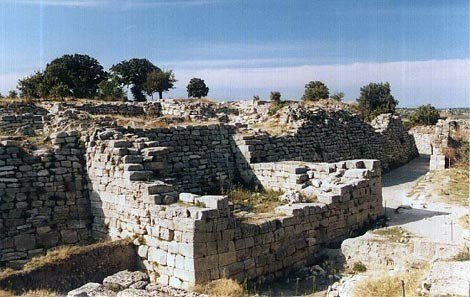 He was teaching the Kingâ€™s son, Alexander the Great, who later drove out the Persians away from Assos. The city was ruled by the Kings of Pergamon between 241-133 BC. Then it ended up being absorbed by the Romans. You will see ruins that will tell the story of this ancient city all over the place. Ask your guide when ou want to know anything. When the tour has finished your tour guide will return you to your port of call in our air-conditioned vehicle.